The following is a brief recap of the Tues., March 20, 2018, BPS101 Regular Board Meeting. View BATV’s recording of the Tues., March 20 meeting. View recap of Tues., Feb. 20 Board Meeting. 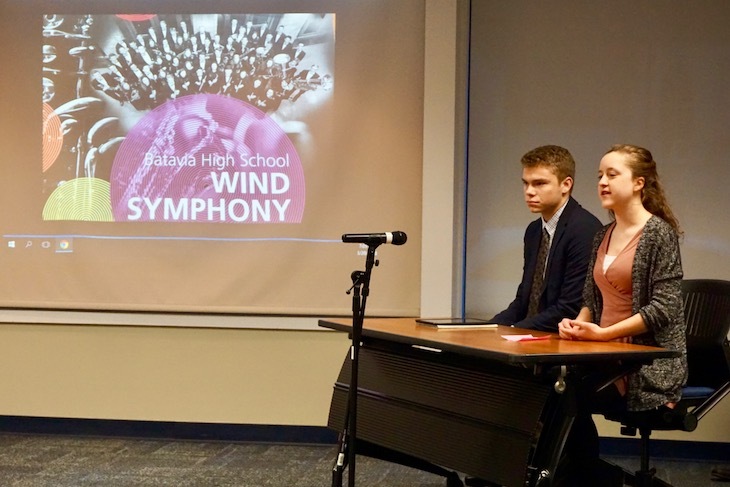 The Board celebrated the Batavia High School Wind Symphony for being selected to perform in the 2018 Illinois Music Education Conference (IMEC), which attracted approximately 10,000 music educators from Illinois and surrounding states. BHS was one of only five high school bands in Illinois chosen to perform. BHS junior Nathan Knautz was also celebrated for being named an All-State Choir member. At the end of the celebration, BHS student musicians Joy Mazur and Andrew Hunter shared their experience at the IMEC and how the BHS Band, BHS Band members, and BHS Band Directors Chris Owen and Brian VanKley have had a profound impact on their high school experience. Check out their comments on BATV’s recording of the Board Meeting. 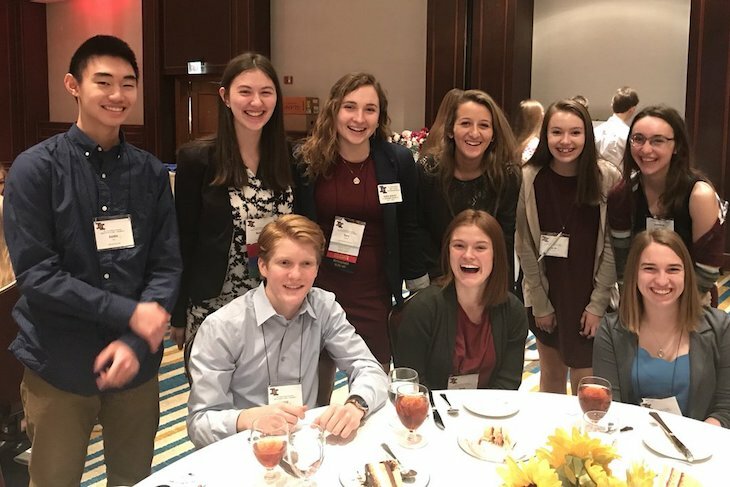 Student Ambassador and BHS Key Club member Justin Chu shared that the BHS Key Club recently participated in the Kiwanis Neuroscience Research Foundation Luncheon during the 68th annual Key Club District Convention and Leadership Conference in Springfield, Illinois. He said BHS Key Club took home several awards, including first place overall donation for the Kiwanis Neuroscience Research Foundation. Justin said this award was achieved through BHS Key Club’s highly successful fundraiser, Mr. BHS. Student Ambassador and BHS Interact Club member Chris Theros shared that he and eight other BHS student leaders recently participated in a Safety Forum at Willowbrook High School and a Safety Forum debrief at BHS with Principal Dr. JoAnne Smith, Athletic Director Dave Andrews, and BPS101 Chief Financial Officer and District Safety Team member Tony Inglese. 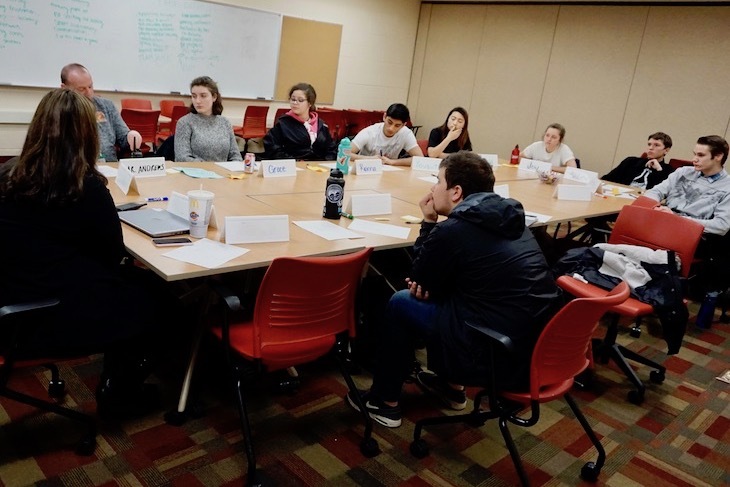 Full details about the students’ participation, key takeaways, and action items for BHS are included in this recap story. Because the distribution schedule of Kane County property taxes has historically caused the District’s cash reserves to hit a low in April and May, BPS101 Administration recommended that the Board approve a resolution “authorizing the issue of not-to-exceed $5 million Taxable Tax Anticipation Warrants in anticipation of taxes collected for 2017 for educational purposes.” As in prior years, cash flow will continue to be monitored and the District will only borrow the minimum amount needed. Once the first installment of property taxes are received, the District will repay the Tax Anticipation Warrants. Board Members approved this resolution. 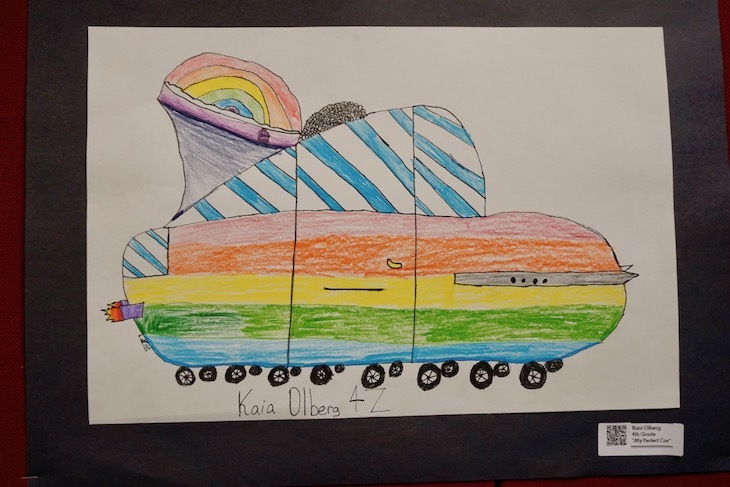 Board Members approved site improvements at Alice Gustafson and Louise White School, including a new bus turn-around lane and repair to asphalt playground and concrete steps at AGS and repair of the north parking lot at LWS. Abbey Paving and Sealcoating will complete the projects this summer. The Board approved the renovation and remodel of the Rotolo Middle School main entrance and office area to meet modern standard security standards and create better traffic flow. The project will be completed by Manusos General Contractors. Tues., April 17, 7 p.m.
Tues., May 1, 7 p.m.